Matrix Five; an unusual name for a time management system that allows you to set and track priorities across five pattern grids, including a day planner, short term goal priority grid, all the way up to a complete life plan. Matrix Five makes time management easy. This following is a simple introduction to the program. Futurists tell us this may be the year of the robot. Soon we’ll be able to buy our own programmable machine to do work for us. While these will be helpful , they will come with limitations and a life cycle. Just like humans, they will need rest and recharging. The cool thing is, we’ll be able to program them to meet our personal and business needs. We can send our robot to work for us. 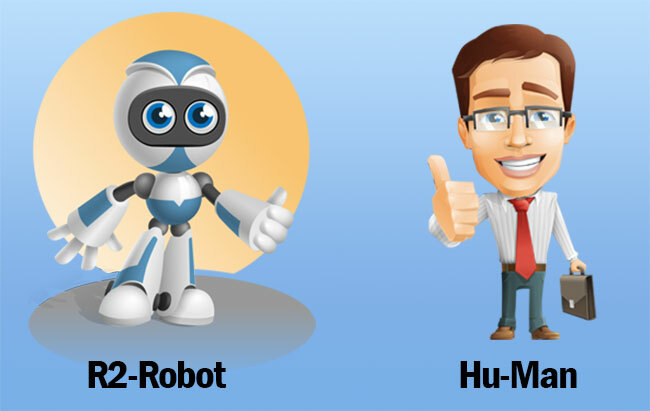 So let’s look at two robot programming scenarios. One for the robot… and one for its human counterpart… us. Let’s come up with a Life Plan for both of these and see how they differ. Many of us program our lives like that of a robot without taking into consideration some very real differences. We set ourselves up for failure by failing to realize we aren’t a plug and play machine. 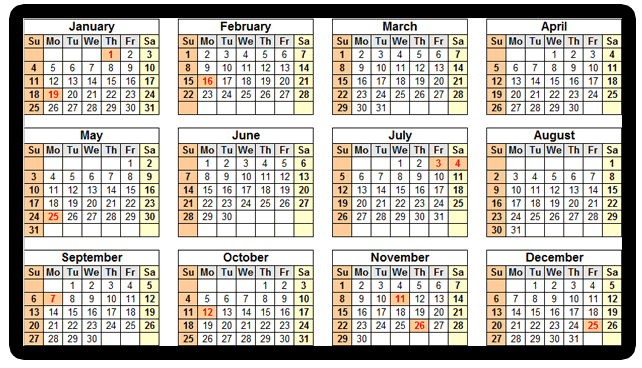 Notice that it starts on Thursday which is a holiday and actually gives you one workday to start. If you divide the 52 weeks into quarters, you get 13 which is a prime number. Try dividing that out. My head hurts already. Then you’ll notice that each month has an odd number of weeks (4.2, 4.5 etc). 50 minutes has changed my life. The concept of working in a focused manner for 50 minutes and then taking a 10 minute break has revolutionized the way I work. I find that I am much more productive when I work in this manner. Instead of multi-tasking mania, this focused approach has led to single-tasking nirvana. I currently use this approach at home at least once per day in the morning for writing or designing. At work, I have successfully taken this approach by closing my office door to distractions and working straight through for 50 minutes. This strategy works well but the reality of modern business life is that I need to be open and accessible most of the day. Unfortunately in my workplace distractions abound, with e-mail constantly annoying, the phone ringing, and a myriad of people walking by my office all hours of the day. I wondered to myself what would happen if the workplace was changed to reflect a 50 minute mindset. Knowledge workers work from the beginning of an hour until the 50 minute mark. Workers are highly encouraged to stay at their desks for the 50 minute period. This scenario could be repeated multiple times throughout the day. Would workers enjoy this or find it too restrictive? Could it be done at least once per day for a productivity hour? Obviously this would not work for certain office situations but for the right group I think it might be highly effective. These are questions that I think would be fun to explore. I find the focused approach helps me get so much more done that I think it would be a major improvement in many offices. Just taking away the constant distraction of e-mail and phone calls would be a major improvement to most people. I would like to hear your comments about this scenario. Have you ever tried something like this in your workplace? What can you do in 50 minutes? It’s really surprising how well this time period lends itself to a variety of tasks. You can put your dishes in the dishwasher, vacuum a few rooms, put the dishes away, finish vacuuming, and clean off your sink. This simple overlap keeps you focused but allows multi-tasking. You could walk 3 miles while listening to an audio book (instead of reading). I find this makes the walk more interesting and you get the book finished much faster. Looking at the list, the audio book can be listened to while doing a variety of activities, including working out and mowing the lawn. You can use the 10 minute break period to transition things. One of my favorite things to do is put my clothes in the washer and start the wash. I then set my timer for 50 minutes and work in a focused manner on a book chapter or blog post. After the 50 minutes is up I move the clothes from the washer to the dryer, get a drink or refresh my coffee and then start on another 50 minute interval. When that is up I take the clothes out of the dryer and may continue into another focused interval. Multitasking works well as long as you are not trying to concentrate on multiple things at once with the same part of your brain. For example, trying to listen to an audio book and write a book chapter will not work. These are some simple examples but with some imagination you could easily expand the list. How about walking and dictating a blog post at the same time with a small pocket digital recorder? (I haven’t tried this yet but it does sound promising). How about walking and sharing a phone conversation with a friend or pedaling a stationary bike while computing? You get the idea. I would love to hear your experiences with this type of multitasking.